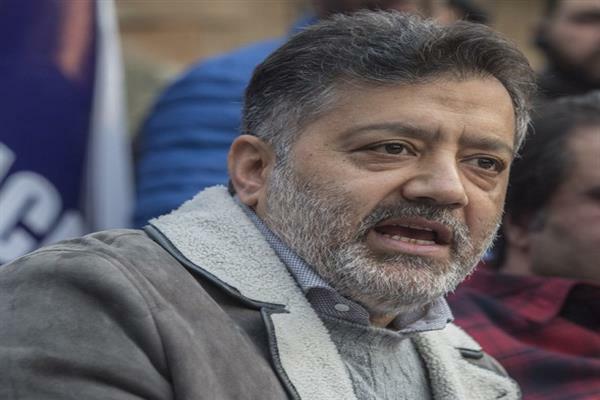 Srinagar: Slamming National Conference (NC) vice president and former Jammu and Kashmir Chief Minister Omar Abdullah, senior Peoples Conference leader Imran Ansari today said Jammu and Kashmir is not Abdullahs property. “It is not Omar Abdullah’s fathers rule. Kashmir is not their property. If it is, they should show it. Otherwise they should stop speaking the non sense,” he said. Hitting hard at Omar, Ansari said Omar Abdullah’s house is the “house of murderers”. “Those who go to his house return in ambulance. And half an hour later, they die. Do not you remember the case of Yousuf sahab?” Ansari added. He said people should vote cautiously. “These people are responsible for everything in Kashmir. They took out even kidneys of people. They are gundas,” he said. He said the JKPC is a new alternative for people and this has frustrated the NC. “We do what we say,” he said.